Flying Sikh Milkha Singh Saturday lashed out against the authorities for giving Arjuna Awards to undeserving sportspersons and rapped athletes for taking banned drugs to enhance their performance. 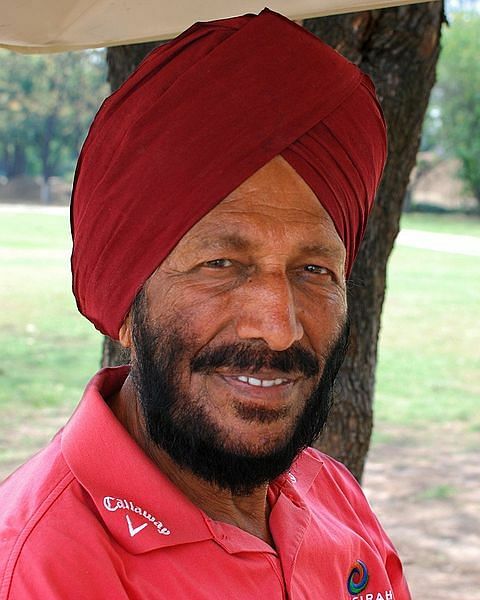 The 77-year-old Milkha, who gave the country four gold medals from the Asiad and one from the Commonwealth Games, said the Arjuna should be given to the best of athletes. "I returned the Arjuna Award (in 2001) because they gave it to me when I was well past my prime, terming it to be a lifetime achievement award. Before that I was awarded the Padma Shri. "They also give away this award to undeserving sportspersons, who have not even represented their country. Such a special award should only be given to the best of the athletes," said the legendary quarter-miler, clad in a blue coat and a red turban. Milkha was in the city to receive the lifetime achievement award given by the Calcutta Sports Journalists' Club at its annual prize distribution function in the historic Town Hall. He expressed anger and disappointment at the use of illegal drugs by sportspersons. "I have practised for 12 long years and only then I could make it to the top. Not like athletes of today who think practising for a year or two can make them champions. To do that they take to drugs, in turn damaging the image of the country, the sports and their family," he said. He also complained about the functioning of various sports organisations in the country. "I had predicted in advance that China will become the top sporting nation in athletics, and suggested India develop similar infrastructure and facilities. But then the authorities didn't pay heed to me." Milkha underscored the need of hard work for success. "I did not know what competitions like Commonwealth and Asian games were all about. I just wanted to run as fast as I could and be the fastest Indian in the world," he added. Asked why he allowed a film - "Bhaag Milkha Bhaag" - to be made on his life after returning an honour as big as the Arjuna, Milkha said: "I want the film to be an inspiration to the youngsters. I would myself watch the film and see whether my life's events have been put forth correctly or not. "Youngsters after watching this movie should come to athletics and make India proud by winning medals at the world stage."